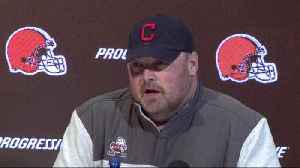 Baker Mayfield and Nick Chubb should remain effective in Freddie Kitchens' offense in Cleveland, but what about the Browns' receivers? 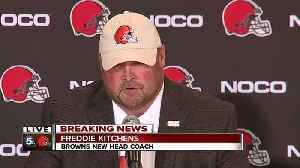 Freddie Kitchens spoke to the press during his first news conference as the head coach of the Browns. 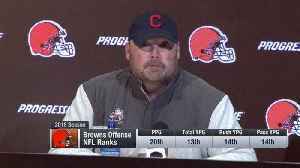 Browns Head Coach Freddie Kitchens spoke to the media about the upcoming 2019-2020 Browns season. 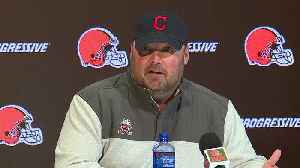 Cleveland Browns head coach Freddie Kitchens discusses the lofty expectations for the Browns after their offseason additions. 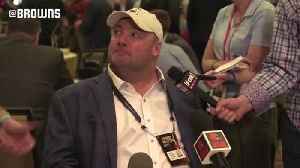 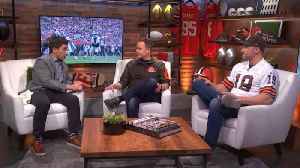 Cleveland Browns head coach Freddie Kitchens answers questions about signing wide receiver Odell Beckham Jr.
NFL Network's Joe Thomas and Marc Sessler explain why Cleveland Browns head coach Freddie Kitchens is the perfect coach for this Browns team. 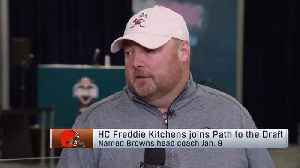 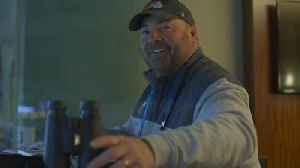 Cleveland Browns head coach Freddie Kitchens chats about quarterback Baker Mayfield, the Scouting Combine and his goals for the team in 2019 on "Path to the Draft."